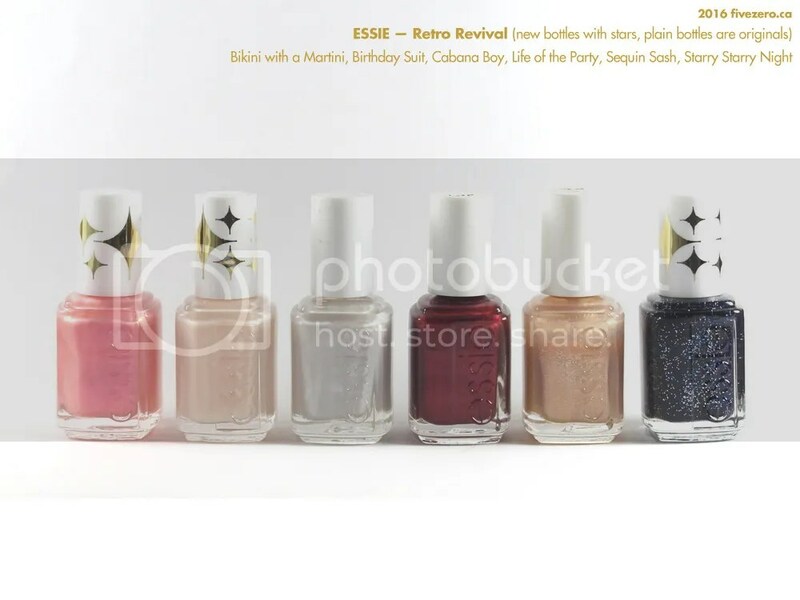 Earlier this year, Essie released a Retro Revival collection, consisting of six older Essie shades. I already own three of them, so there remained just three for me to pick up: Bikini With a Martini, Birthday Suit, and the infamous Starry Starry Night. You can check out my first review from this collection (Birthday Suit) for further details. Bikini With a Martini (960) [originally 555 from 2006’s Summer collection] has the most adorable name! Unfortunately, I found it a bit disappointing, as I suspected I would. This was the only shade of the three that I almost didn’t pick up, as it looked way too sheer and frosty. And so it is. It’s pink with a heavy dose of coral, the type of color I’d normally be all over, but it’s also terribly sheer and frosty. I used three coats in my swatch so you can see the color better. Each coat applied smoothly and evenly, so I can’t complain much about the formula. I just don’t like the color and finish. It disappoints me that Essie chose to revive this shade and not one from the myriad of gorgeous (and even sheer!) shades they’ve released in the past. The Retro Revival collection is packaged in the usual Essie bottle with white cap, except the cap is decorated with gold stars, possibly inspired by the inclusion of Starry Starry Night. love that on You xoxoxox bring on spring !!!!! i know right ? hello spring xoxoxox !!! I guess I’m fine with frosty and sheer. The frostiness isn’t as apparent that way. 😛 It’s mostly the brush streaks that bug me. It is a little princessy! Omg esp much?! This is the second shade I have on queue from this collection! I feel the same way about it!! !